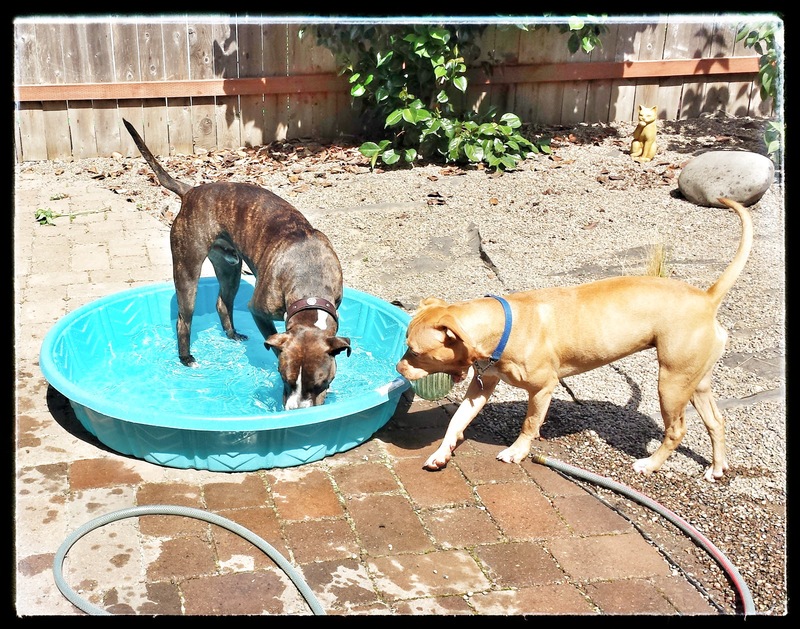 We recently discovered that my dogs love to play in the water! This is good news for my pups who have been having a hard time adjusting to our recent hot weather. My backdoor has been repeatedly opened/closed letting the dogs in and then out again when I'm home. I know - the simple solution would be to either keep them in or out for awhile but I like honoring my dogs nice manners when they sit quietly by the door (their cue to be let in/out). Part of the problem I think is that we keep our house air conditioned and at a comfortable 72* and then when the dogs go out it's been 90*+F ! SO they want back in...but then they want out to go play in the yard...but its hot so then they want back in...You get the idea i'm sure. After being interrupted multiple times last night while making dinner I decided that a solution must be found and decided to get a pool that they will hopefully play in! They seem to like it so far! 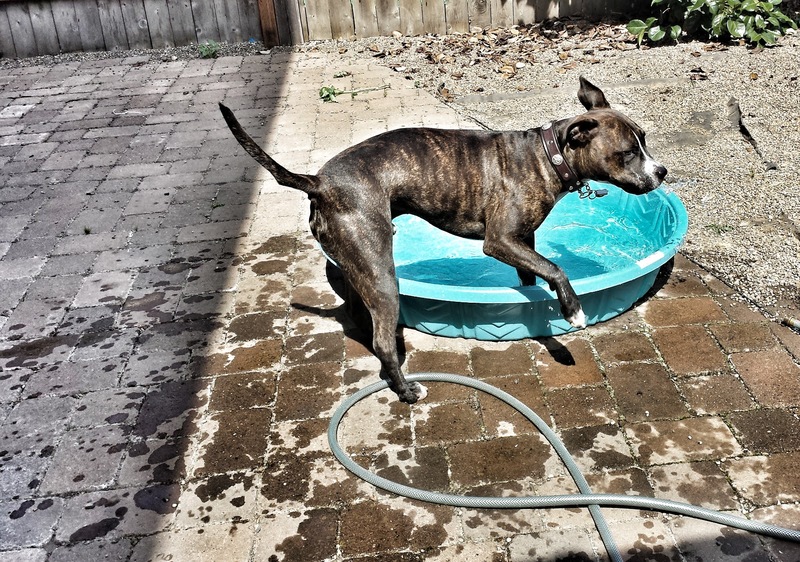 Do your dogs like pools? Was their a certain way you got them to play in the pool if they were hesitant? Aw nice! Looks like they really enjoy it. Simba acts as if he hates water so IDK if he'll like the little kiddie pool. I plan on getting him one soon though to see how he reacts.